James Tanner married Sarah Rouse. 1. Jemima Tanner born in VA abt. 1822, married Albert Popham 10 Nov 1842. Thought to be buried on Haines Oil property on US 42, Florence, Boone Co., Ky.
4. Sarah Ann Tanner b. 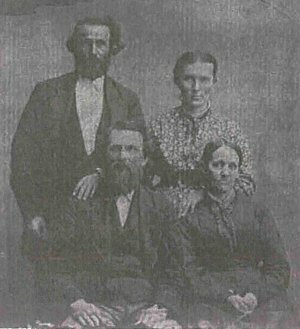 1838; married Joe Brown; last known still living in 1933 at age 94. 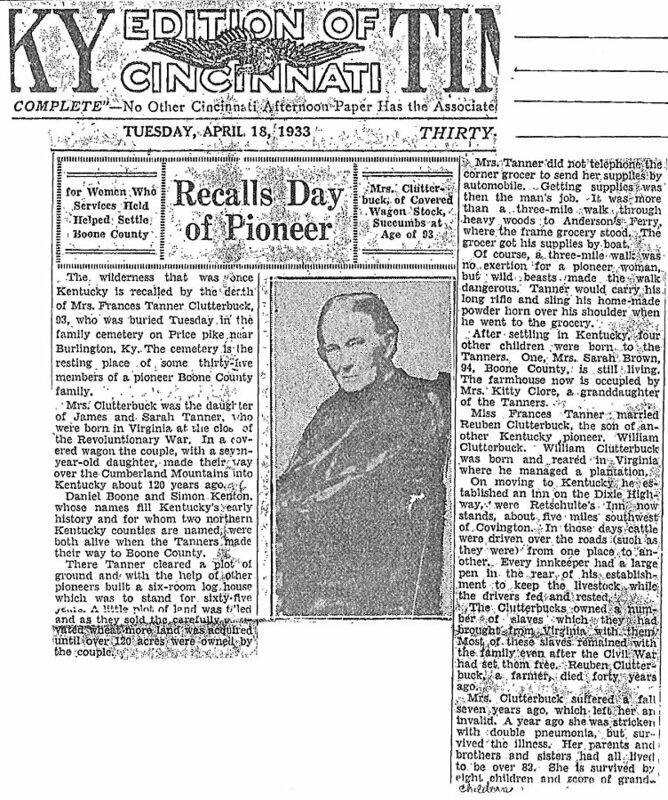 More on their daughter Julia Frances Tanner b. 1840 that married Ruben Clutterbuck. Julia (nee Tanner) and Ruben Clutterbuck are both buried in the Clutterbuck Cemetery on Airport Property, Boone County, Ky.
2. Eugenia Clutterbuck b. 14 Mar 1860; d. 1930 at age 70.
married Benjamin Harvey Tanner (brother of Joel Angus Tanner). 3. Stonewall Jackson Clutterbuck (pictured above) b. 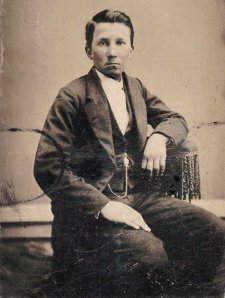 29 Aug 1862; d. 1891 at age 29. 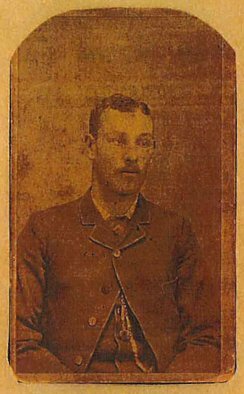 They had 2 children; a son Carl Clutterbuck born 1886 KY, and a daughter Emma Clutterbuck born Feb 1888 KY who married Lloyd Aylor. 4. Mary Etta Clutterbuck b. 21 Mar 1865; d. 25 Jul 1941 at age 76.
married Joel Angus Tanner b. 21 May 1864; d. 28 Jan 1932. 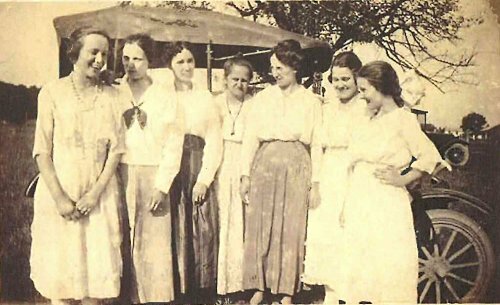 They had 9 children: Alva Agnes, Harvey Lawrence, Stanley Jackson, Beulah Mae, Kitty Frances, James Kenneth, Lucy Eugenia Allie, Mary Geneva, and Mabel Iantha. 6. Robert Clutterbuck b. 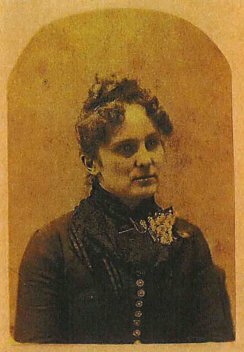 23 Jan 1871; d. 1936 at age 65.
married Denna Eichman. Had one son Robert Jr.
married an Evans and had 2 daughters. Lived in Kansas. 8. Milton Clinton Clutterbuck b. 17 Nov 1875; d. 1953 at age 78.
married Nannie Tanner (Wash Tanner's daughter?). 10. Sarah 'Sallie' Clutterbuck b. 20 Mar 1882; d. 16 Oct 1964 at age 82. married Hal Highhouse, no children. 11. Eva Lucy Clutterbuck b. 2 Aug 1884; d. 23 Jan 1962 at age 78.
married Ed Osborn, no children. Buried at Florence, Boone, Ky. cemetery. 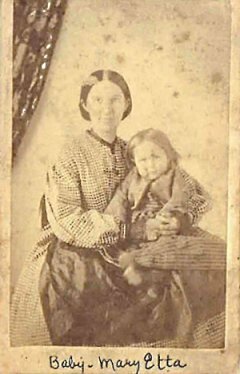 Mary Etta is pictured here on the lap of her mother. Photo of Mary Etta (nee Clutterbuck) Tanner. 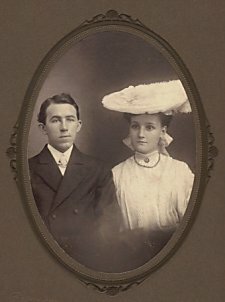 Mary Etta Clutterbuck married Joel Angus Tanner. 1.small girl? 2.Kitty Tanner(married George Darby) 3.Willie Tupman 4.Beulah Tanner 5.Ira Walton 6.Agnes Tanner 7.? 8.? 11. Kathryn Clutterbuck (wife of Carl Clutterbuck) 12.? 13.? 14.? 15.? 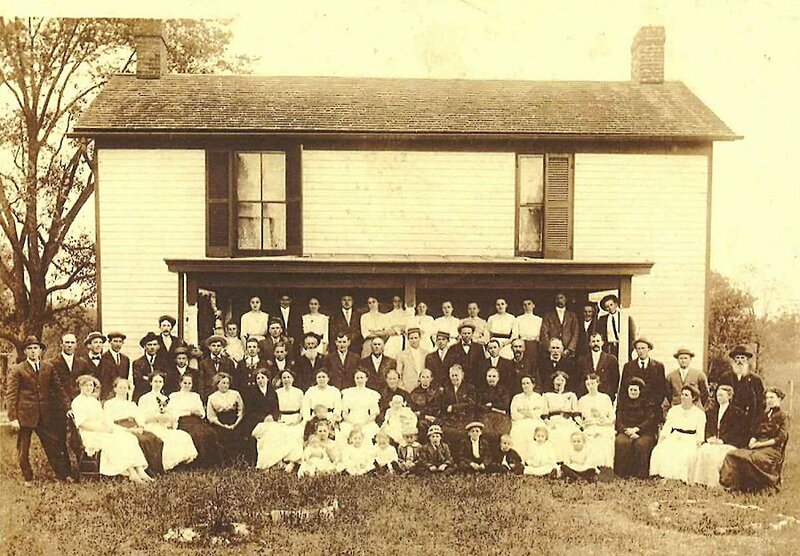 Reunion held in 1912 or 1913 at the Clutterbuck home on Price Pike, Florence, Boone Co., Ky.
1.? 2.Lloyd Winfield Aylor 3.Evelyn Aylor 4.? 5.? 6.? 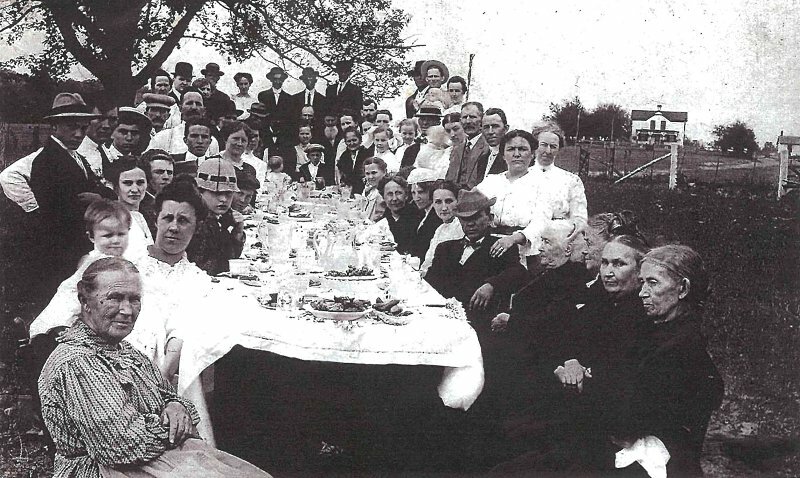 1.Beulah Tanner 2.3.4.Julia Frances (nee Tanner) Clutterbuck with Flora Mae Darby and John Robert Clutterbuck Jr. on her lap 5.John Robert Darby 6.?